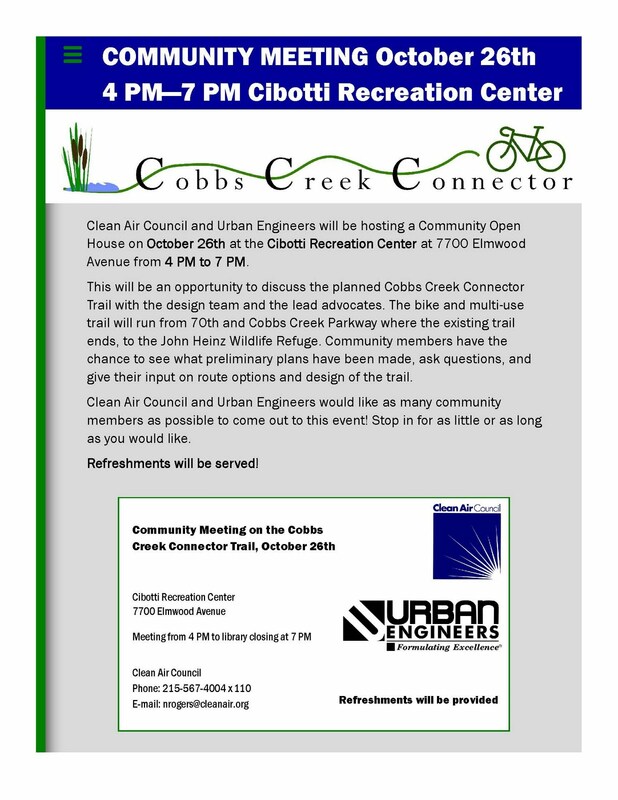 There will be two public meetings discussing the Cobbs Creek Connector in the next two weeks. 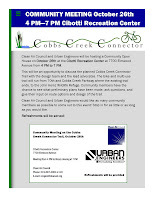 These will be open house-style meetings where you can meet and talk to the Connector design team (Urban Engineers), as well as the Clean Air Council and trail advocates. Refreshments will be served. Interested folks are encouraged to stop by at any point during the three hour sessions.